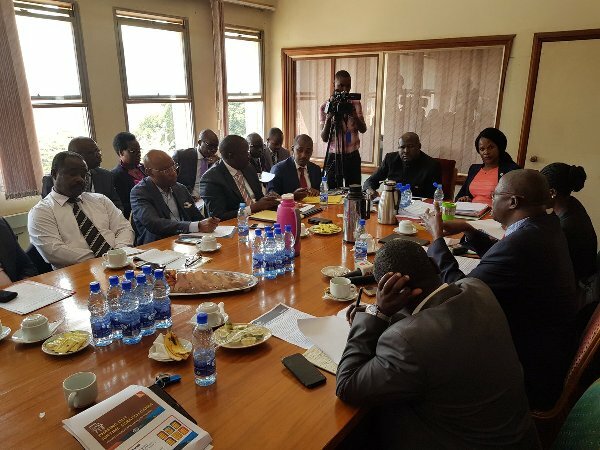 PARLIAMENT– Members of the ICT Parliamentary Committee have backed Uganda Communications Commission’s (UCC) decision to phase out airtime scratch cards saying it will curb fraud. The committee supported e-airtime loading as it will solve fraud which a number of MPs have also experienced in their constituencies. Mr Cuthbert Abigaba for Kibale County also member of the ICT Committee, said the e-recharge system will enhance security as it will allow easy tracing of suspects. Mr James Acidiri of Maracha East said the comparative advantages of electronic recharge system outweigh the need for scratch cards. “We should go digital, it will help in security matters. But if UCC doesn’t check abuses, we will not achieve our goal,” Acidiri said. Appearing before the committee, UCC Executive Director Mr. Godfrey Mutabazi said, basing on the practice in the region on the use of E-Top Up by major providers in other markets they operate, testimonies indicate that Uganda is on the right track. Mr. Mutabazi told MPs that the sector was undergoing a technology evolution and that in this digital era the integrity and accountability expected of communication systems was unprecedented, hence the new measures. The MPs called on UCC to carry out a countrywide sensitisation of the public, urging the body to consider dedicating a two-month awareness campaign. The Minister of ICT Hon Frank Tumwebaze also defended the decision to scrap the scratch cards, saying it’s high time the country embraced electronic recharge system. He explained that scratch cards make traceability of criminals difficult and have a manufacturing cost which telecoms end up passing onto customers. They are a health hazard,” he added. “The telecoms suggested that they are no longer going to import scratch cards and consensus was built because of the so many hazards associated with them. So we are crusading people not to be left behind,” Tumwebaze explained. Tumwebaze further defended UCC on the OTT which he said was a taxation issue under the docket of the Finance Ministry and not a mandate of UCC. The minister further asked Parliament to dialogue with the security agencies on the issue of fake phones.